The history of beer on the iconic Walplein in Bruges goes back for centuries. The first records of brewing activity on the site date back to 1564, when brewery ‘Die Maene’ was mentioned in the town register of Bruges. The Maes family becomes owner of the brewery in 1856 when Leon Maes, also referred to as Henri the First, buys the premises. Henri the second takes the lead over the brewery in 1867 together with his brother Achère. After learning all the details about modern brewing techniques in England, Henri returns to Bruges, building a new malt house and hop kiln at the brewery. Unfortunatly both brothers die very young and their spouses have to maintain the family business until Henri Maes III takes over. After the Second World War, the American culture has a huge influence on Europe and the brewery starts with the distribution of water, lemonade and the very popular cola. The building is soon getting too small and the brewery next door is taken over. The business is now led by Henri IV and evolves into a very modern brewery. Never forgetting its loyal customers, the brewery delivers all beverages at home with horse and cart and later with the famous yellow trucks. In 1981 Véronique Maes and her father Henri IV develop the ‘Straffe Hendrik’. The beer was first served at the inauguration of the statue of Saint-Arnold in Bruges, but soon became very popular. The name Straffe Hendrik translates as Strong Hendrik and was chosen after the numerous strong Henri(k)s in the family. 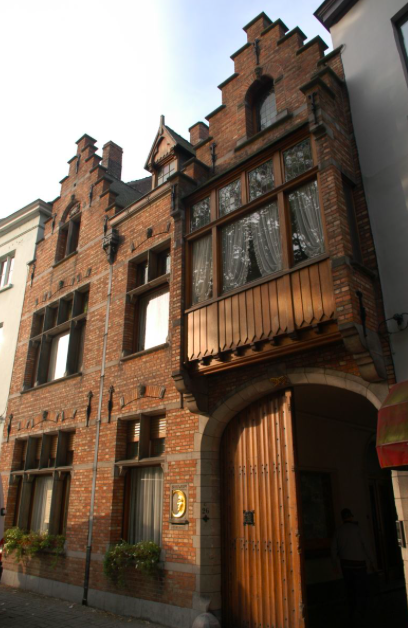 In 1997 Véronique Maes starts a thorough renovation of the brewery, resulting in homebrewery De Halve Maan where dinner parties and different kinds of events can be organized. The museum soon becomes a very popular destination among visitors of the city. Xavier Vanneste, son of Véronique Maes, restarted the brewery in 2005. His goal was to brew a beer with a unique recipe, produced in the town center of Bruges. Brugse Zot is an immediate success in Belgium and abroad. 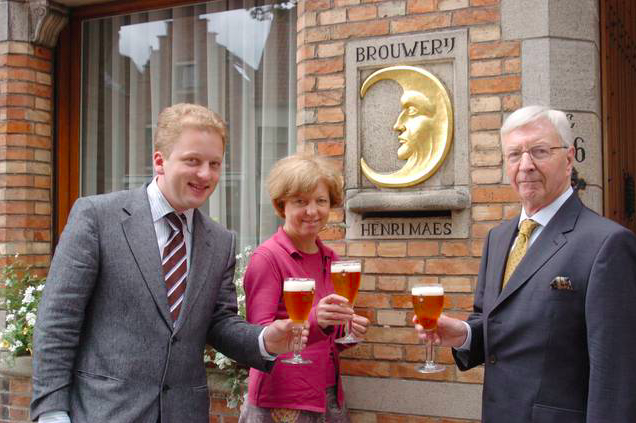 In the late 1980s the brand ‘Straffe Hendrik’ was acquired by another brewery, but in 2008 Xavier Vanneste was able to bring the lost son back home. 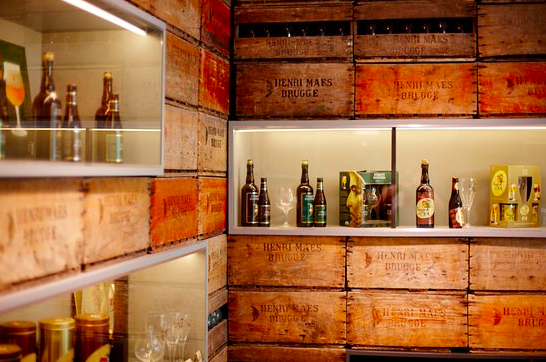 Recently the brewery shook up the world by installing a beer pipeline under Bruges, connecting the brewery and the bottling house and covering a distance of 3 kilometers under the historic city.